Savenaca Narube was the former Governor of the Reserve Bank of Fiji and Permanent Secretary for Finance. He also worked at the World Bank and the International Monetary Fund (IMF) in Washington DC. The views and opinions expressed here in the article are those of Savenaca Narube and not of the Fiji Sun. Building a nation is an important responsibility of Government. My definition of nation building is to build a country where every citizen lives in peace. I continue to emphasise peace as I believe that peace will deliver us our full economic potential. We are familiar with Ratu Sukuna’s three-legged stool of the Vanua, Church and Government. The three legs support a platform which is the nation. In the construction of the stool, the three legs are strategically positioned to bear the weight equally. While the Vanua, Church and Government have different roles, they come together in partnership to prop up a nation. To be successful, nation building must therefore be a shared responsibility. When the three legs play their rightful roles, the nation comes together as one to live in peace and happiness. A stool with only two or one leg will fall. The three-legged stool therefore depicts strength and stability. It depicts fairness, respect and harmony. These are ideals that we all aspire to irrespective of race and religion. The legs are also of the same length. Otherwise, the stool is uneven and can topple over. To me, this means that the Vanua, the Church and the Government must treat each other as equals and with respect. Equity is also an impprtant component. I am intrigued by of the interplay of the roles of the Church and Government. We can recall the differences between the Methodist Church and Government some years back. It led to the Government banning the annual conference of the church. This was unprecedented. The relationship appears to have been mended. But what was the underlying issue? I think that the major contention was that the Government demanded that the church be independent of politics. I have often wondered how one operationalise this ideology that the church must not meddle in politics. I believe that the Church, in this context, is defined as an institution. Therefore, as an institution, the church must not meddle in politics. The institution consists of all its organs which are the administrators, the preachers and the congregation. These organs are made up of people. The administrators are people, the preachers are people, and the congregation are people. As people, they have the fundamental right to be involved in politics under Section 23 of the 2013 Constitution. Politics is about people. The question therefore becomes: How do we separate the people from the church? The simple answer is–we cannot. The freedom of religion is in Section 22 of the Constitution. The issue perhaps is whether the people in the church especially the preachers can use the pulpit to preach political messages. Does this breach the right of the congregation to make their own political choices? Some may argue that a congregation attends church to hear religious messages. I agree. But if a government policy is against the fundamental beliefs of the church, how can the church, as an institution, react? I often watch Pastor John Hagee on TV and he can be very vocal against the policies of government that are not in line with the church principles. Therefore, why should government become involved at all in what the church chooses to do or say? Shouldn’t this be a matter of the church to decide? Let us try to find a middle-of-the-road solution. Perhaps the church should limit itself to preaching principles that are important in making wise political choices such as truth, respect, fairness, equity, unity, tolerance and servant leadership. These are universal fundamentals that no one can oppose. It is then up to the congregation to choose the political party that fits those principles. The preachers are however free to share their personal views on politics outside the pulpits. I don’t see any conflict in this. Let me bring in the Vanua at this point. The Chiefs are the leaders of the Vanua. They are of course free to make their own political choices. But as Chiefs, their political choices may influence the choices of their people. Is this wrong? I don’t think it is. The people, however, are free to make their own choice. In any case, their votes are confidential. Should Chiefs stand in elections? Of course, they can. However, the game of politics is played under its own rules which may not befit the chiefly role. Chiefs should of course determine if they can play the game under those rules before entering politics. The other interesting question is: Are there any implications if the votes for the Chiefs in their own Vanua are less than another candidate? Does that imply that the Chief does not command the support of the Vanua? I personally do not think so. The support of voters should not be translated into the support of the Vanua. I am sure most of us will agree that politics must stay out of the appointment of chiefly titles. Government must stay neutral and allow the Vanua to make their choice. We can borrow a lot of powerful messages from Ratu Sukuna’s three-legged stool. The Church, Vanua and the Government must at least listen to each other. They may have different views, but they must find common grounds to work together to build a nation that is free, fair and honest. The concept of a three-legged stool can also be applied to finance and leadership. To be a leader, one must first have the willingness and be ready to lead; second, the knowledge and the skills; and finally, the motivation and passion to lead. A great leader will have all components. 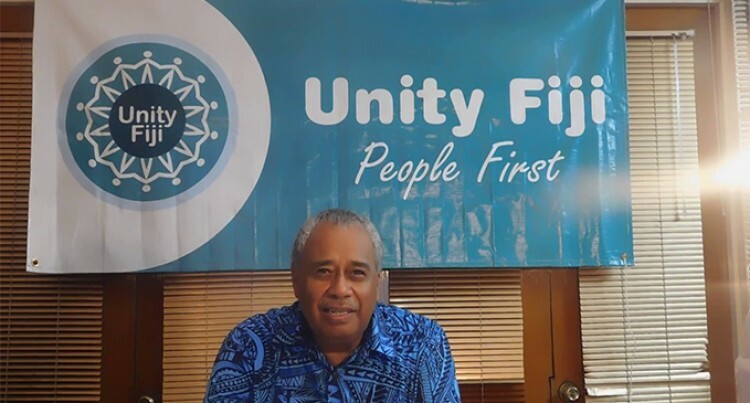 My prayer is for Fiji to find that leader in this election.